There are some lotteries you want to win, but the IRS “audit lottery” is not one of them. Although to many tax practitioners the IRS seems to be a clandestine organization, the vast majority of its practices and procedures are public information. The IRS could do a much better job of educating its customers (tax practitioners) about the intricacies of the tax system. Once the Internal Revenue receives a filed tax return for processing, many actions occur. First refunds are generated and balances due are processed. This course will unravel and demystify what happens next. Computers, classifiers, referrals, informants, and many other sources generate IRS examinations. The IRS is selective in determining which tax returns it will examine, but many examinations could have been avoided if the tax returns themselves had provided a bit more information and clarification. 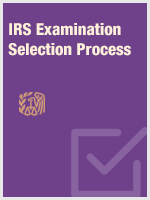 This course is a must for practitioners who need more knowledge about the IRS's ever-changing methods of audit selection.